Photo 11 This photo shows a typical older computer's green screen with a BASIC program on the display. 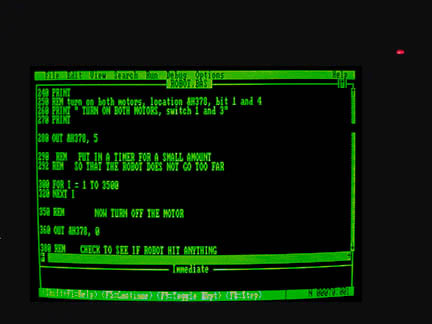 DOS and BASIC are done in this manner, in text only, on 'robot' computers of this era. Kids in grade 6 readily pick up the programming language, and become surprisingly adept !